China’s economy is headed downwards, with major problems facing its government and people. History shows that such situations, if serious enough, have led to the breakdown of the Chinese state. As the United States and China are intimately tied on many levels, what would the consequences of such a breakdown be for America? There are four major ways a Chinese collapse – even an incomplete one – would affect our nation and our lives. The first impact – already palpable – is the uncertainty, and eventually panic, that such a possibility generates. This would occur primarily in the financial area, which by now is thoroughly globalized. World finance is a multi-national web of loans, payments, trades, currency speculation and central bank policies where no component can be dissociated from the whole and impacts in one location or area are transmitted instantaneously through the system – being further amplified by a multi-layered network of derivative contracts. China occupies a large portion of this global network, and its problems already are having substantial negative effects, particularly on stock markets. Future shocks could be somewhat reduced by massive central bank intervention, but the resulting instability would last years. Raw materials (metals, ores, foodstuffs) from Latin America, Australia, Indonesia and others. As these are curtailed the economies of the suppliers are hit. Components: China does not produce all that goes into its exports (think cell phones, for example). Many components are sourced from its neighbors, including Japan, Taiwan, South Korea or Singapore. Now these economies are beginning to suffer just like those of the raw material suppliers. Machinery and technical goods needed for expanding the production base and infrastructure (machine tools, construction equipment, cars, trucks, aircraft) coming from Europe, Japan and the U.S.
Cutbacks in Chinese imports in all the above categories have a widespread negative impact on the global economy, as shown in in the general business outlook and stock markets – which, in the world’s 10 largest economies, have fallen substantially since this summer, when China’s problems first became generally known. The above could be termed “indirect” impacts. Their consequences are severe, but they take time to develop and are spread throughout the global economy. 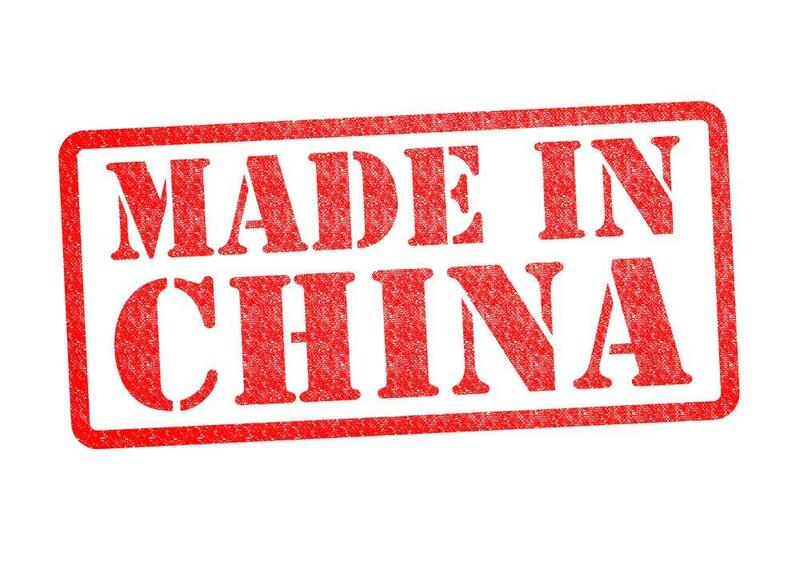 The U.S. population daily consumes many products imported from China, from food and common drugs to furniture and shoes. Any disturbance preventing the production or shipment of such goods would have a nearly immediate effect in term of shortages of essential or desired items – even in the midst of an apparently prosperous economy. Such shortages would be extremely disruptive – particularly in an election year as 2016. Shortages will be further exacerbated by the complexity of current supply chains. For example, crab caught today in Alaskan waters now goes to China for processing, instead of to an onshore cannery as in the past. If something goes wrong “over there”, both U.S. fishermen and consumers are up the creek. This can happen to a huge variety of goods. Shortages as described above are disruptive because (1) they are unpredictable; (2) they can be long-lasting; and (3) they are very difficult to explain away. In addition they will translate immediately into price increases, black markets and other misery. There is no quick fix. Once production has been shipped somewhere else the skills associated with it (procurement, engineering, manufacturing, quality control) disappear, and bringing the operation back to domestic soil becomes a major (and expensive) undertaking. Americans are by nature an enterprising people, and to many the above difficulties will present a welcome challenge. But to the great majority of the populace they will also be proof of the shortsightedness and incompetence of the corporate and political leaders who allowed the situation to develop. Many Americans may discover that, for all the wonders of globalization, its ultimate consequences are not trivial, and that the final bill may end up being too large for their purse – and too disruptive to their lives. This is the second article the author has written in TCP on the Chinese economy. Both articles are very informative and thought provoking but as I have pondered them I feel the author has put the”cart before the horse” in his arguments. I agree that the Chinese have made a number of unwise economic moves but compared to the West’s oligarch’s single minded pressure for economic “austerity” it has amplified recessionary forces and this has resulted in a demand decline in goods that China produces. That reduction in demand is the factor that brought down China’s once robust economy.That was the “horse” that pulled China’s “cart” of a robust economy. Their own mistakes just made matters a bit worse. Never the less China now owns a good part of the US manufacturing capability that we will not get back cheaply with its complement of jobs. We are left with a real jobless rate of probably over 10% with those who have given up looking, and any pickup in the world economy with Europe controlled by Germany and the banks still pushing “austerity” there is little likelihood of near term economic growth in the West. When it comes, China will be the major beneficiary not us. P.S. This was my comment to the authors previous article on China. But other’s than China got richer and they are now among those richest 1% who have been able to buy our politicians and steal our democracy. China is ahead, despite problems, and has much of our manufacturing capability while we have skilled workers flipping hamburgers for Chinese wages. Look no further than the 1% who continue to use their new wealth to buy politicians who pass legislation ( TTP ) giving them further tax breaks while weakening labor laws and selling off more common property and social institutions like prisons and schools to the private profit sector. Al lin all, China and the Chinese people will remain better off for the industrial boost the West gave them while the West and the USA have drifted into oligarchies who have used their wealth to undercut the common good and democracy is suffering all over the world. I have absolutely no grudge against the Chinese people, but I have to say anyone who consumes crabmeat (as a vegetarian, I’m not concerned for my own self) should be concerned. Indeed, I think the article should have pointed out that an increasing proportion of US food stocks has been imported from China as the years have gone by. (Not to mention other items that get inside our bodies, like toothpaste.) I’m not addressing potential food shortages here, but simply food safety. The rush to re-embrace Capitalism post-Mao has led to profit-hiking laxness in safety procedures, it certainly appears. Caveat emptor!